While on a work trip last week, Ryan got the chance to try a Brazilian steakhouse. I’ve ALWAYS wanted to go to one. I mean seriously, they just keep bringing meat out until you tell them to stop. Needless to say, I was a little jealous. How did I cope with my jealousy? I came home and made myself a mouthwatering Flank Steak with Asian Chimichurri sauce. 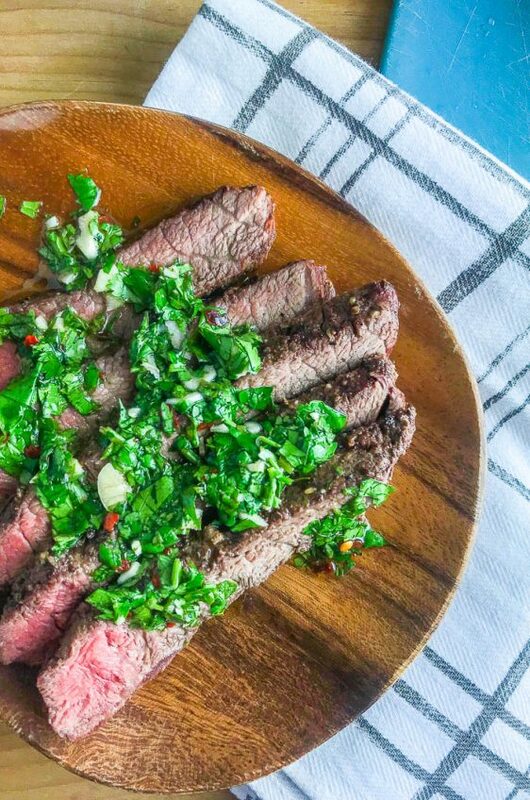 If you’ve never had a chimichurri sauce before, it’s a South American sauce usually made with parsley, garlic, white or red wine vinegar and chili pepper flakes and it is delicious. I would’ve left well enough alone and made a traditional chimichurri sauce to serve with this flank steak but I had a craving for Asian flavors. That is when I decided to give this steak an eastern twist by making an Asian Chimichurri. I made this an Asian Chimichurri by changing out a couple of main ingredients: Instead of parsley I used cilantro. Instead of white or red wine vinegar, I used black vinegar. I also added some lime and Thai chili pepper for heat. The resulting sauce was awesome. Use your finger to clean your plate, awesome. Seriously, I want to put this Asian Chimichurri on all the things. First up though is this tender marinated flank steak. When you set out to make this, please be sure to give yourself enough time. It doesn’t take long to put the marinade together but the steak needs to marinate for at least 8 hours. I started marinating my steak at night before bed. By marinating the steak for that long it gives the steak a chance to soak up all the flavor from the black vinegar, garlic, soy sauce and sichuan peppercorns. Not to mention, marinating is great for tenderizing. 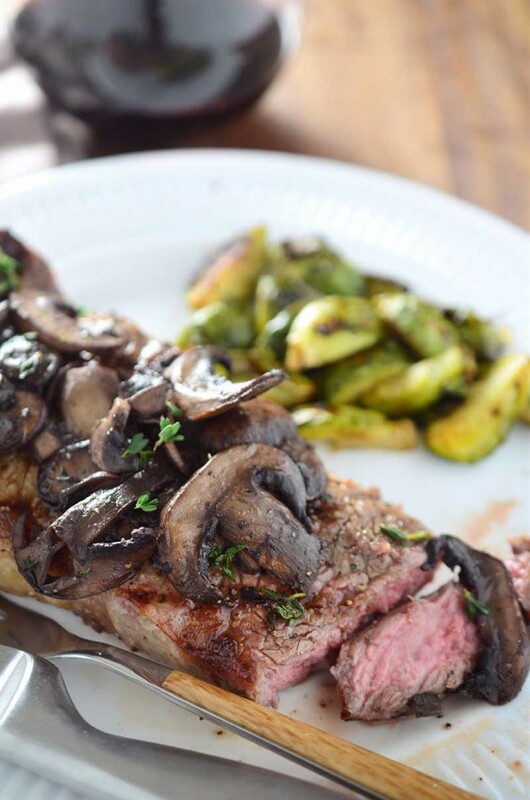 Another way to ensure this steak is melt in your mouth tender, is to cook it medium rare. Some of you may think it’s a good idea to go past that but don’t do it, the meat will start to get tough. Trust me. You also want to make sure that you slice the steak against the grain. That also helps ensure tenderness. Finally, because it’s January and cold, I cooked this steak inside using my cast iron skillet. 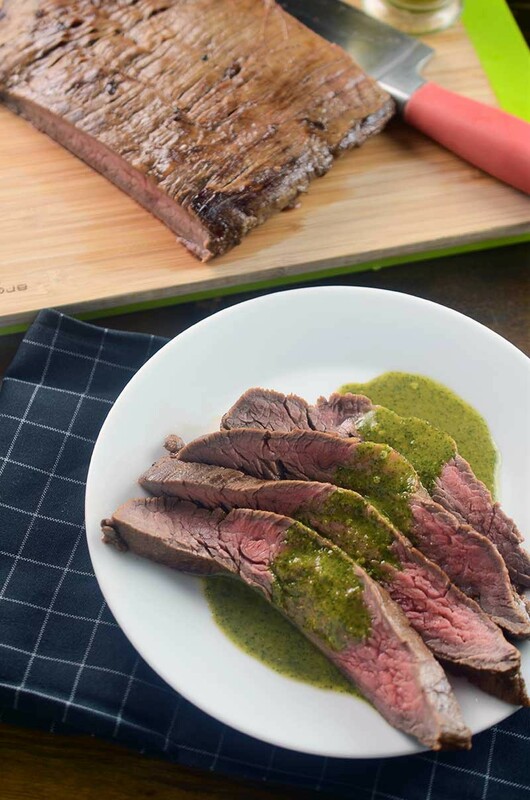 However, if you live somewhere warm or like grilling in the snow, this Flank Steak with Asian Chimichurri would be awesome on the grill. 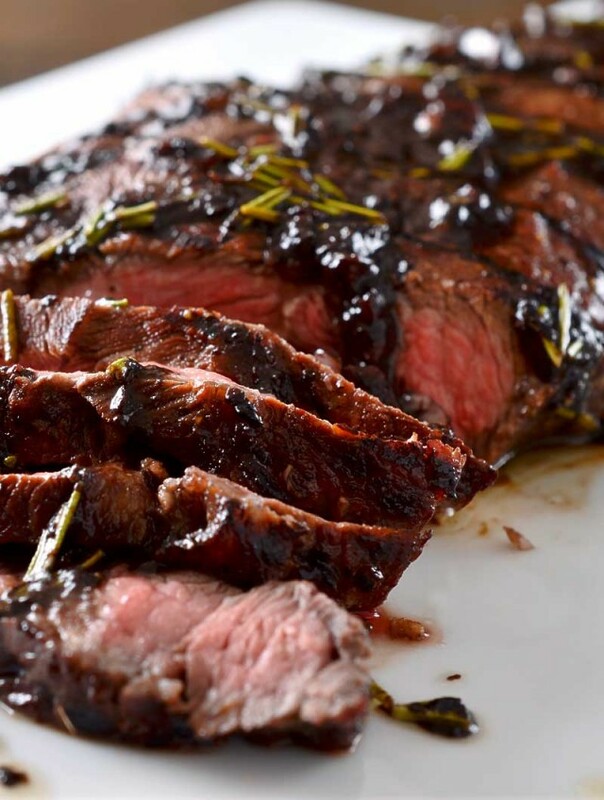 Start by making the flank steak marinade. Combine extra virgin olive oil, black vinegar, soy sauce, garlic and peppercorns. Whisk together. 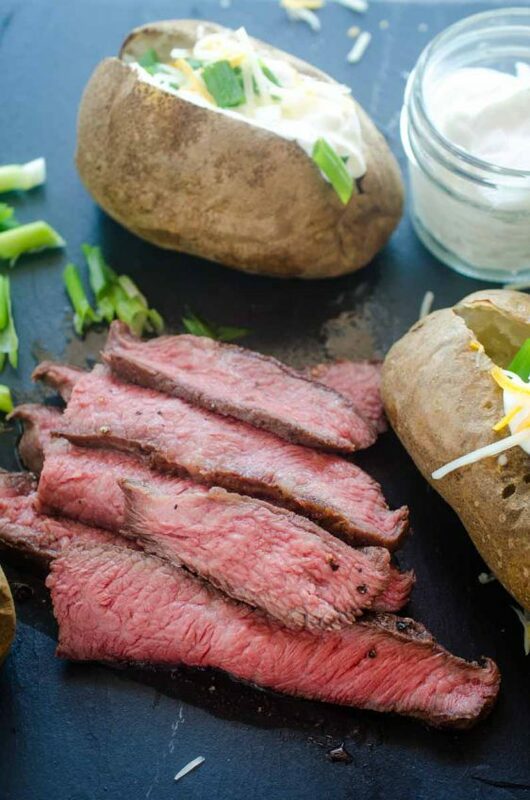 Place flank steak in a resealable plastic bag, pour marinade over the top. Turn to coat. Place in refrigerator and marinade for at least 8 hours or overnight. Preheat oven to 450 degrees. Place cast iron skillet in the oven for 10 minutes. While oven and pan are preheating. Combine cilantro, garlic, black vinegar, lime juice, chili pepper and soy sauce in a food processor. Process until chopped fine. With the food processor running, slowly drizzle in the extra virgin olive oil until mixture is smooth. Season to taste with salt. Set aside, at room temperature, until ready to use. Once skillet is hot, use an oven mitt to carefully remove the skillet from the oven. Place on stove and turn on burner to medium-high heat. 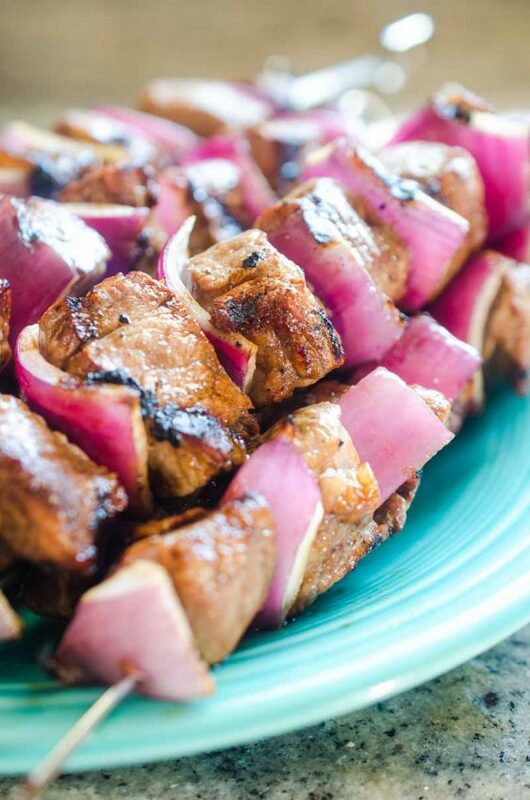 Remove steak from marinade and let excess drip off. 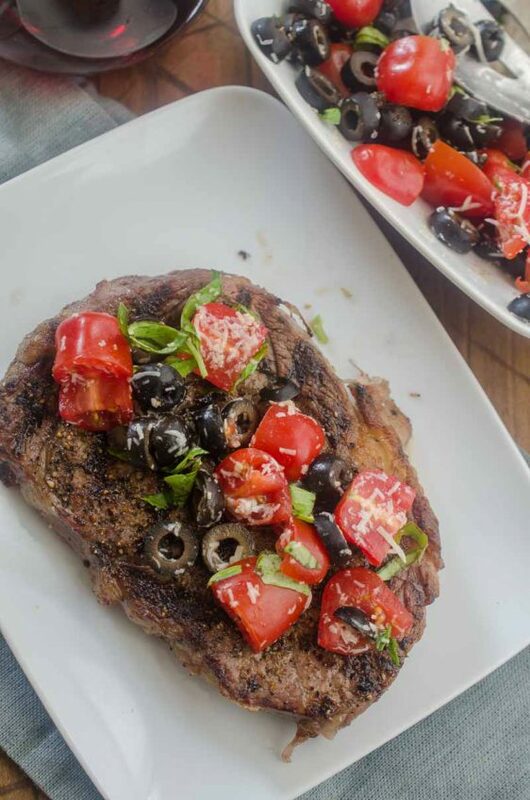 Place steak in heated skillet and cook for 2 minutes per side. Transfer to preheated oven and cook for an additional 5 - 6 minutes for medium rare. Remove from oven, transfer to a plate and loosely cover with foil. Allow to rest for 10 minutes. The Asian Chimichurri sounds delightful. 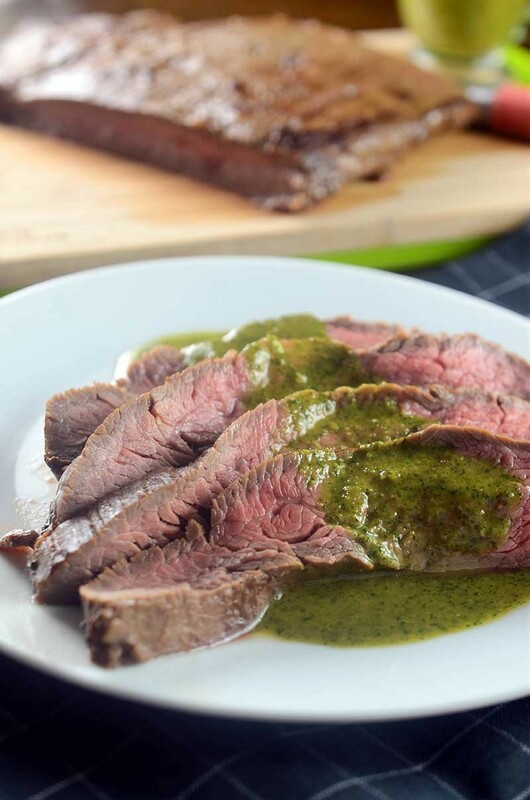 I adore chimichurri sauce and it is always great over flank steak. Your steak is perfectly pink! Love chimichurri sauce! This looks perfect!